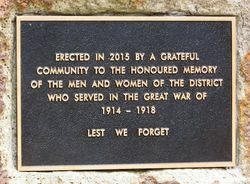 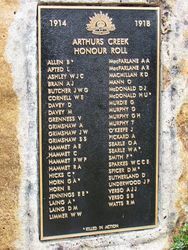 The garden at the Arthurs Creek Hall commemorates those from the district who served in World War One. The memorial in the garden, which was erected in 2015, contains an honour roll of those from the district who served in World War One. 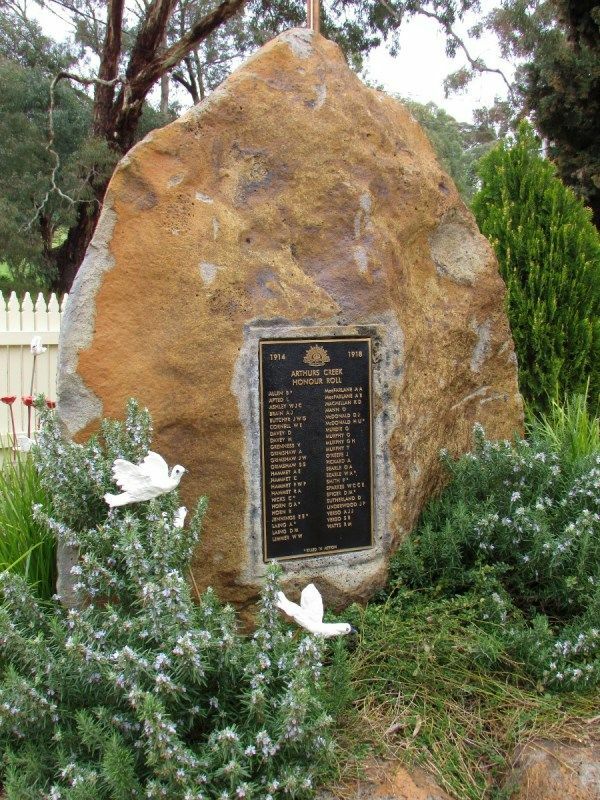 Funding was received in April 2016 through the Saluting Their Service Program to establish the commemorative garden.